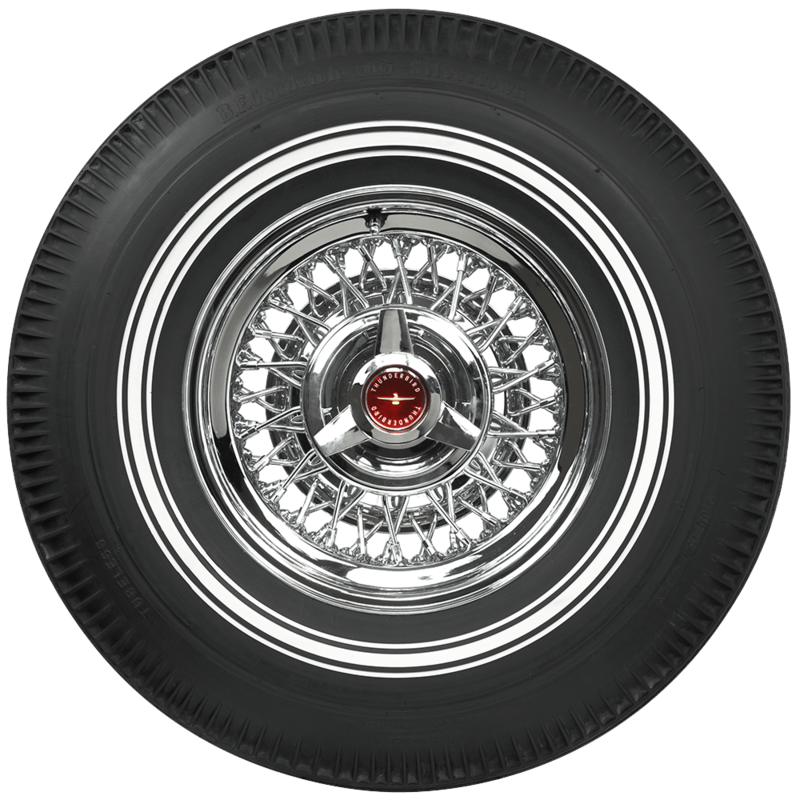 The big interstate cruisers of the sixties and seventies cry out for a great set of custom whitewall tires, and no place offers a larger selection of whitewalls than Coker Tire Company. 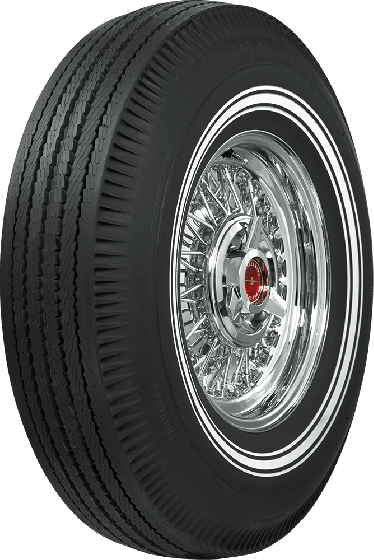 These BF Goodrich bias ply dual & triple narrow white sidewall tires feature authentic tread designs and unique white sidewall styling with two or three narrow whitewalls and even one with a thin redline alongside. 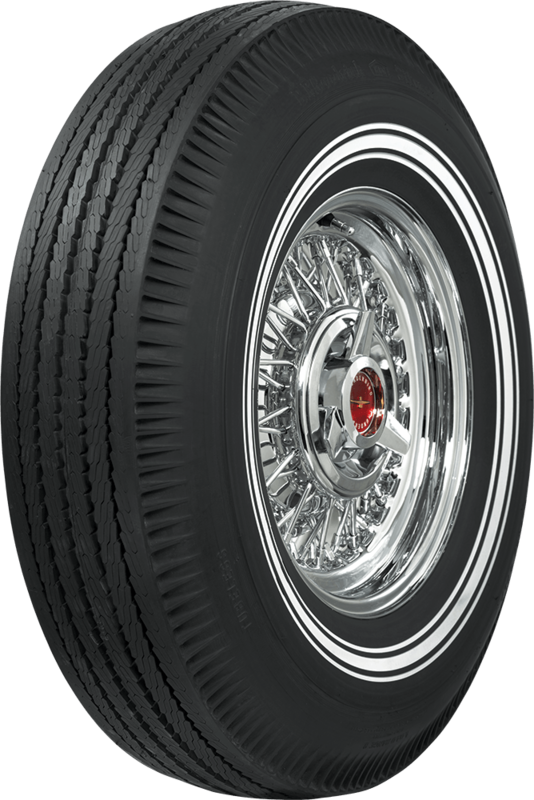 These tires are grouped together due to their unique sidewall design may vary slightly by size and style. 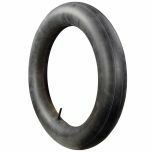 Please refer to the part numbers in the product images and cross reference with the corresponding part number in the product specifications after selecting a specific product in the drop down menu. 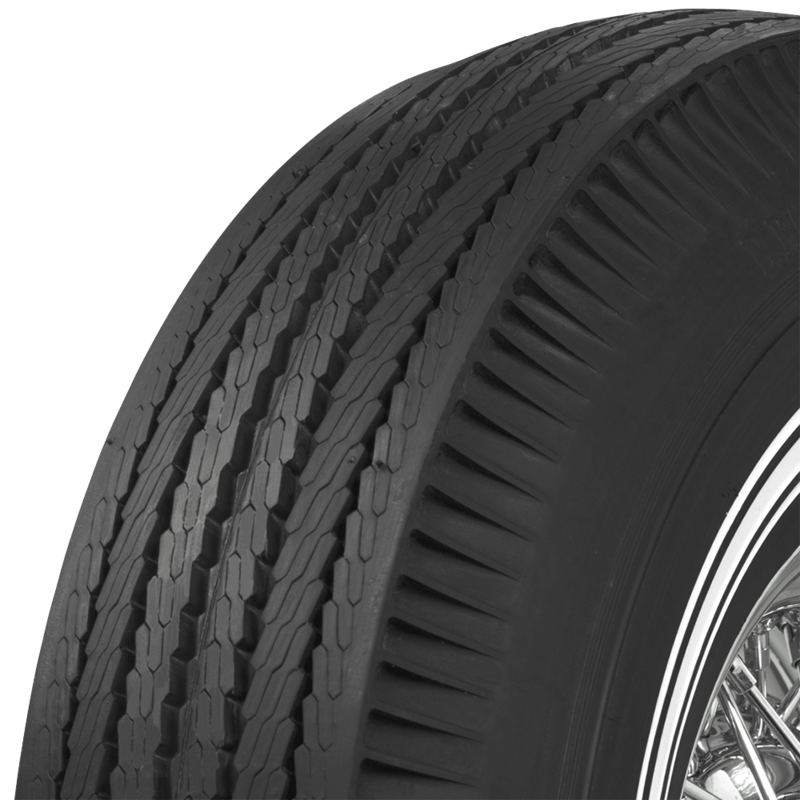 Contact a Tire Expert if you need assistance in selecting the right tire for your fitment needs.